Goodbye Sarah -- hello mystery woman? 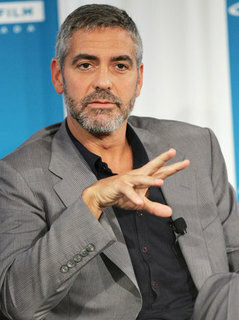 As actor George Clooney relaxes on Lake Como, new rumors circulated today that the world's most eligible bachelor is already off the market! PerezHilton reports that an unidentified brunette has been spotted at his $10 million mansion. There was no sign of the mystery woman today when the "Michael Clayton" actor went on a bike ride with buddy Tate Donovan. "Extra" did, however, spot a smiling Sarah Larson at the Lexus Style Villa in San Diego. 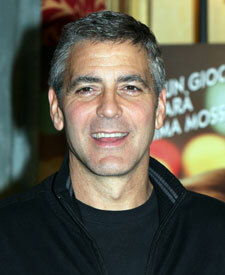 Click on an image to view the GEORGE CLOONEY photo gallery!